It's time for our Monthly Feature Day at Your Next Stamp. 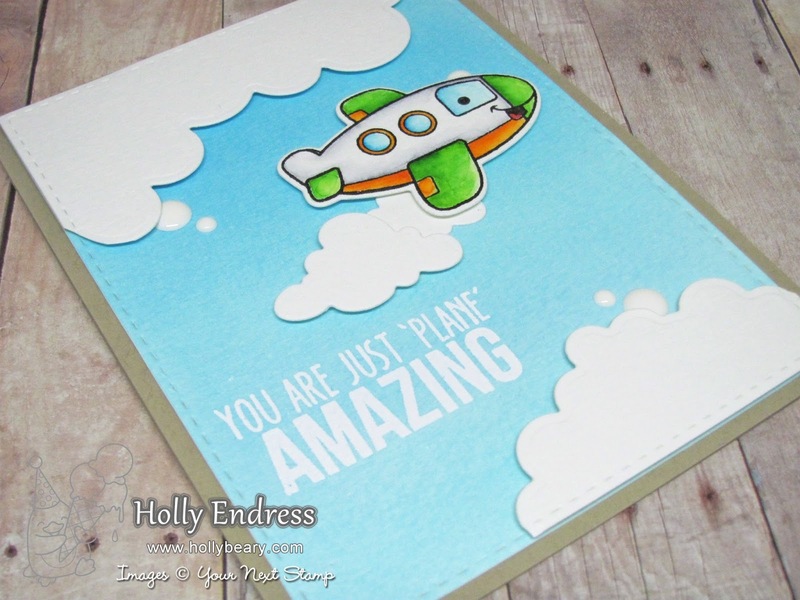 This month we are creating cards for "Kids"! I'm using the Plane Amazing set and coordinating die for a fun card perfect for any "Kid" or "Kid at Heart". I die cut a piece of watercolor paper using the Largest die in the Stitched Rectangle die set. And then I colored the background with some Peerless Watercolors. Once the panel was dry I stamped the sentiment in VersaMark ink and Heat embossed it in White. Then I die cut the Puffy Clouds Border Die from some additional Watercolor paper and adhered them along the edges with some foam tape. I die cut the two clouds in teh Plane Amazing die set from some more watercolor paper and adhered those as well. 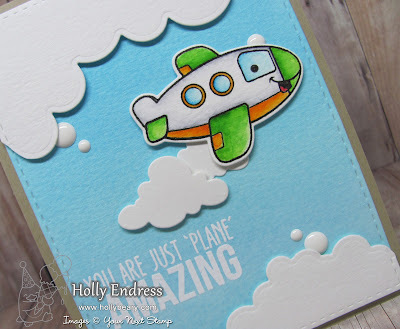 I stamped the plane image onto some watercolor paper with VersaFine Black ink and then I colored it in with the Peerless Watercolors. I used the coordinating dies to cut it out with my Big Shot. Then I adhered the image onto the panel with foam tape. I wanted a few extra pops of White so I added some White Sugar Gumdrops. 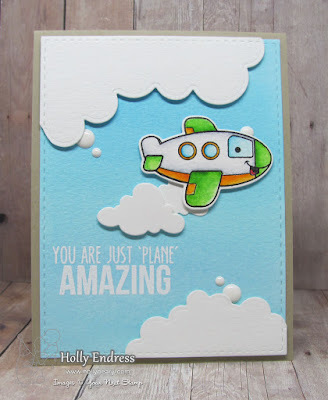 Head over to the YNS Blog for more great "Kid" projects from the Design Team and leave a comment while you are there for a chance to win a Set of your choice! So cute Holly. I love your scene!